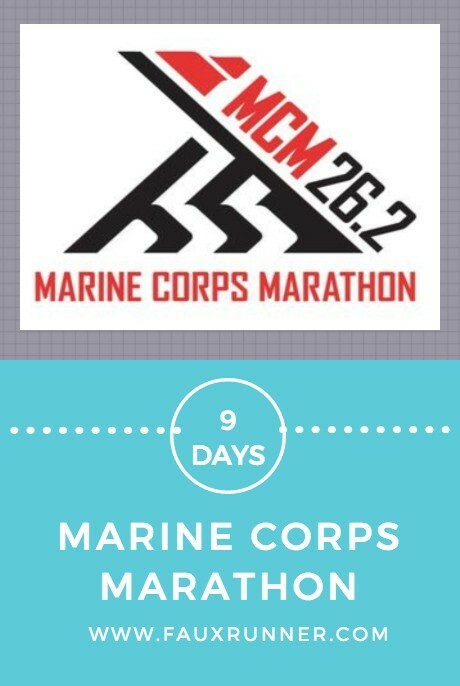 It’s 9 days to Marine Corps Marathon. 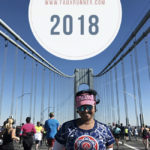 I’m continuing to document my taper tantrums and perhaps later laugh at some of the crazy stuff. 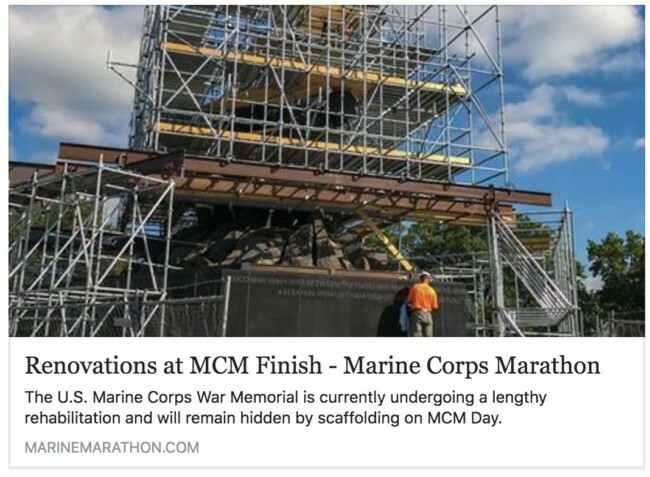 Coach G posted an article – The iconic Iwo Jima statue that marks the finish of the Marine Corps Marathon and provides the perfect backdrop for the finishers photo will be covered and hidden by scaffolding this year. I had been visualizing running up the hill to the statue. And while I am slightly disappointed in not having that experience (I’ve seen the statue in its glory about 5 years ago and it is indeed a very powerful experience), the Marine Corps Marathon is much more than just the Iwo Jima statue. Also, good thing that I have an active imagination; one that will hopefully still function after 25 miles! Side note: We had the same thing happen during our trip to Rome and could not see Bernini’s famous Fountain of Four Rivers at the Piazza Navona. 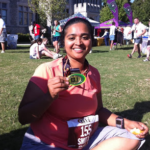 Today was a rest day, thank God, because I had absolutely zero enthusiasm and motivation to run! Oh oh – only 9 days and my mojo – where art thou?? I sort of “felt” my IT band while walking today. Like a little constant pull. And then I felt huge knots. Huh? It wasn’t there yesterday! Either way, taking no chances, I set up an appointment next week for some ART and Graston while I try to foam roll the knots out. Or who knows, maybe tomorrow will find me wondering ‘what IT band’? I’ve also been unable to sleep properly. 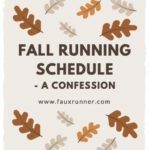 I don’t know if I should attribute that to taper or missing my traveling Mr. FauxRunner or just insomnia. Going into an endurance race, you can only do your best to prepare and then handle what race day throws at you. 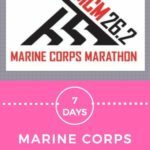 And this marathon is a huge challenge undertaking at what I’m chasing. There’s the safe bet and then there’s the pain cave. And while it is very very tempting to take the safe route, the real challenge lies in the other direction. 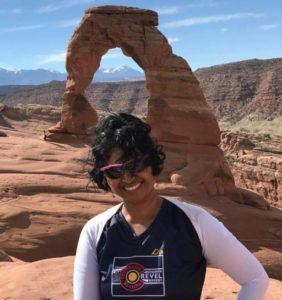 Facing the challenge head on and not being afraid of it – I’ve been waiting for this for a long time and am ready to take it on. It’s been stuck at a high of 79F all 7658 times I looked at it yesterday. It’s not in my control, but seriously ????? Here’s hoping that tomorrow’s weather check brings a bit more cheer.